You may have recently seen one of those irritating pop ups** asking you to subscribe to a monthly newsletter for Eye On Annapolis. And hopefully you are one of the hundred or so who already have! If you missed it, there is a sign up form in the right column of the site! As we continue to grow, we are constantly looking for ways to bring more value to our readers. 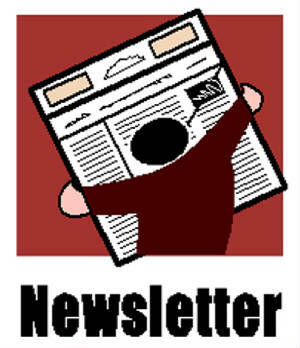 This monthly newsletter will accomplish that. As a subscriber, you will have access to private pages on the site not normally visible, unique content and insight, some special offers from some advertisers, and more to come! We are big on privacy and only require your email address–the other stuff is optional and allows us to personalize your newsletter. However, we will never sell, rent, loan, or disclose any of the information you provide. Any offers from our advertisers will be contained in the newsletter–you will not receive emails directly from the suppliers. This is a new initiative for us and it is evolving, so if you have any suggestions, please let us know. ** As for that irritating pop up. Studies have shown that those type of sign up forms are the most effective. However, we also know they are irritating. If you ignore it or click it closed, a cookie will remember that and you should never see it again–unless you visit us from another computer or have erased your cookies.